Not MIGHT – WILL contaminate, according to a former Environmental Engineering Technician with New York State’s Department of Environmental Conservation (DEC). Paul Hetzler spent three years with the DEC’s Region 5-South managing scores of groundwater remediation projects from 1994-1997. Region 5 serves nine counties in the Eastern Adirondacks and Lake Champlain area. It encompasses the northeastern tip of New York State and includes three-quarters of the Adirondack Park. 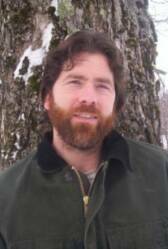 Paul Hetzler, former Environmental Engineering Technician with NYS DEC.
Today, Hetzler works for the Cornell Cooperative Extension as a horticulture and natural resources educator. He does not speak for Cornell or the Extension office. 2 Public Comments should be made by January 11, 2012 on the revised Supplemental Generic Environmental Impact Statement (SGEIS). Following are links and sources for information. NOTE: This article is cross-posted on the Accountability Central website at this link: http://www.accountability-central.com/nc/single-view-default/article/voices-from-the-shale-fracing-will-contaminate-nys-acquifers-former-dec-environmental-engineer/ Accountability Central is part of the Governance & Accountability Institute, Inc.
Hetzler is stating the obvious. The problem in NYS is that people in rural areas depend on very shallow water wells – which are very vulnerable to being polluted. Over time, all gas wells will leak, Every one of them.